William was born in Caythorpe in 1883. In 1901 he was a garden boy at Caythorpe Hall. By 1911 he’d moved to Kendall, Westmoreland (now Cumbria) where he was an insurance agent for the Salvation Army (from 1891 to 1972 the Salvation Army ran an insurance company). It seems he joined the Royal Field Artillery (RFA) at Blackpool and was killed in action on 16th July 1916 (during the Somme campaign) while serving as a bombardier with D Company, 150th Brigade RFA. His service record is missing, and the RFA units moved about, but he probably trained at Lytham St Annes (near Blackpool) before moving to Grantham in Aug 1915. Later that year they moved to Salisbury Plain and then (Nov 1915) to France. He is buried in the Peronne Road Cemetery, Maricourt, Somme. His name is on the Fulbeck war memorial. Harry was born May 1889 at Fulbeck Lowfields. In 1911 he was 21 and working as a waggoner on the Watt’s farm in Averham, near Newark. In May 1916 he enlisted as a stoker in the Royal Navy. 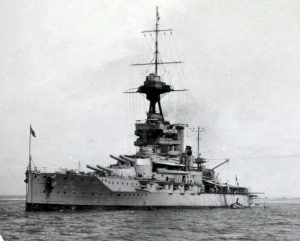 He served at HMS Victory until Sep 1916 then aboard the battleship HMS Emperor of India which served in the North Sea until 1919. George was born at Byards Leap in 1891. In 1911 he was working on a farm at Dorrington (north of Sleaford). In Jun 1916 he joined 12th Battalion, South Staffordshire Regiment. After training at Brocklesby he served the remainder of the war in France. Edward was born in Caythorpe in Dec 1897. In 1911 (age 13) he was working on the farm at Bloxholme. In Oct 1915 he joined 3rd Battalion, Lincolnshire Regiment but later transferred to the East Riding of Yorkshire Yeomanry, then to the Machine Gun Corps. After training at Brocklesby he served in Palestine (Jan 1916 – Jan1918) and then France (Jan 1918 – Feb 1919).